“Wink” emoji pendant. 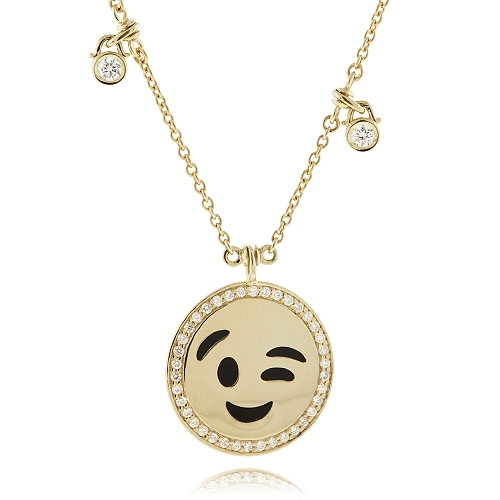 Designer Aspery & Guldag, Fun fashion emoji pendant with wink featuring brilliant round diamonds as a border composed of 14k yellow gold on a rolo chain with dangling bezel set diamond stations. Chain 18". Diamonds approx. 0.60 ct.